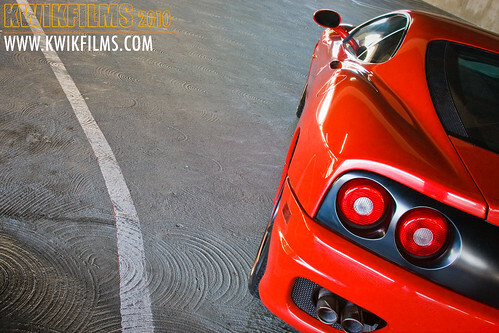 A few weeks ago we shot a red 1999 Ferrari 360 Modena for a client. The finish product is truly a work of art. Frank Castillo of KWIKFILMS has crafted a remarkable video piece. 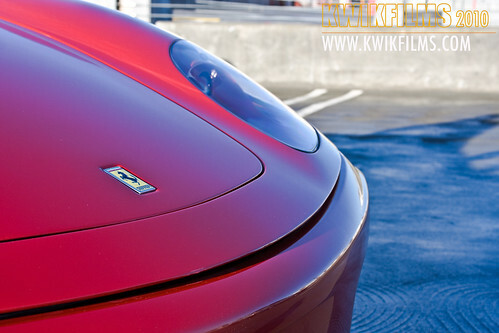 His editing creativity paired with his videography skills made the Ferrari video one of the best KWIKFILMS has produced so far. Check out the video and you'll see what I'm talking about! Frank recently received a request from Jose, the admin of the themustangpitstop.com to create a contest video and a banner ad for his forums. His members can enter to win a mustang photo shoot with Miss Supercross 2010, Mercedes Terrell and a sponsorship for a new paint job. If you own a Ford Mustang and would like to enter his contest, you can check out all the details here. Below are the approved contest video and banner ad. 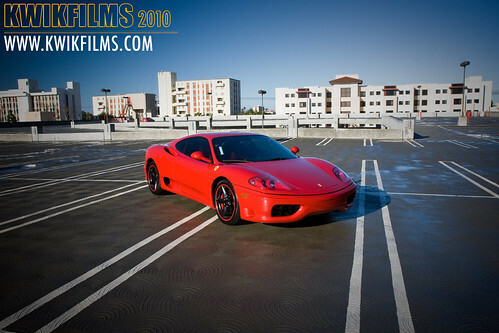 We shot a stunning red 1999 Ferrari 360 Modena for a client last week at a San Diego State parking garage. 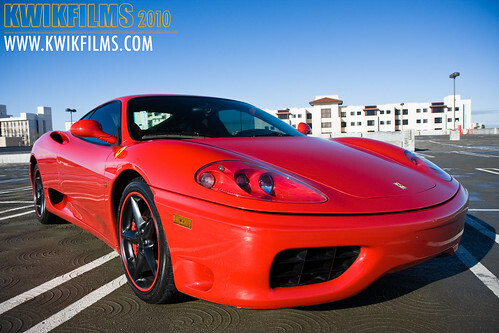 KWIKFILMS previously produced videos of his 2006 Dodge Viper Supercharged and his 2006 Lamborghini Gallardo. 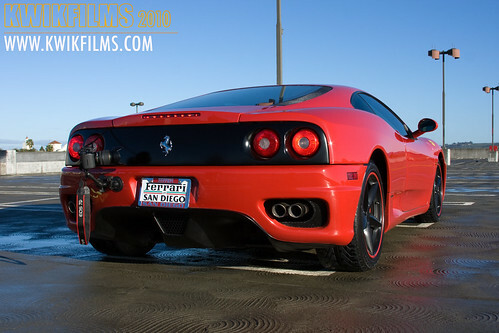 This time he wanted us to produce a video of his 1999 Ferrari 360 Modena. I shot photos inside and outside the parking garage. 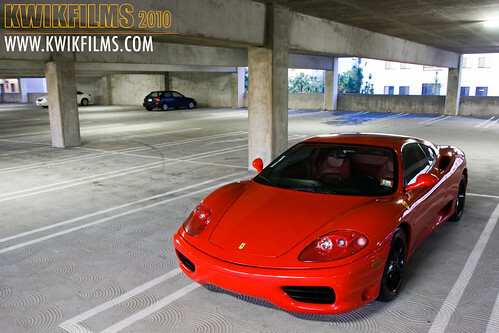 The parking garage lighting made the red color of the Ferrari 360 Modena stand out. 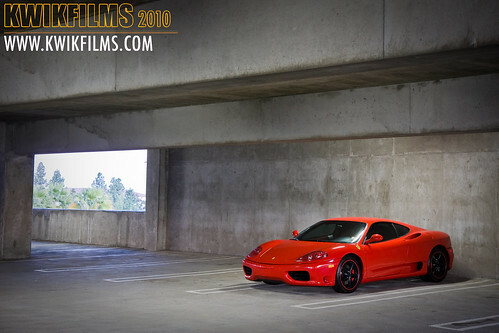 Having a tripod in the parking garage was essential in providing a sharp photo. Leave a comment and let me know what you think about the photos.